[S993] Unknown volume, North Carolina Birth Index 1800-2000, www.Ancestry.com. [S1013] Unknown volume, N.C. Divorce Index 1958 - 2004, unknown repository. Birth*: Charles Henry Catlett was born on 31 May 1889 at Granville Co., NC. Marriage*: He married Ida Madolian Hughes on 6 July 1946 at Henderson, Vance Co., NC. Death*: Charles Henry Catlett died on 1 May 1952 at age 62 . [S1408] Unknown volume, North Carolina Deaths and Burials 1898 - 1994, unknown repository. She was the daughter of Joe Catlett and Anna Roberson. [S160] Unknown volume, Vance County, N.C. Birth Register, Register of Deeds Vance Co., NC Courthouse. [S1315] Unknown volume, Wake Co., N.C. Marriage Register, unknown repository. [S849] Unknown author, North Carolina Death Collection, 1908 -2004. [S188] Unknown volume, Social Security Death Records, www.Ancestry.com. [S137] 1910 Warren Co., N.C. Census, 77-102-54. [S1064] Unknown volume, Warren Co., N.C. Death Certificates, Register of Deeds Warren Co., NC Courthouse. [S137] 1910 Warren Co., N.C. Census. 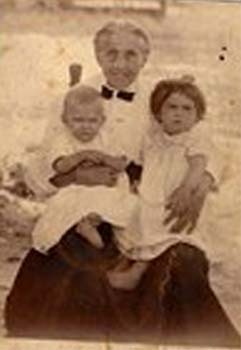 Death*: Wnstead LaVerne Cayton died on 5 May 1973 at Columbia Co., FL, at age 57 . [S1736] Unknown volume, North Carolina Marriages 1762 - 1979, unknown repository. Birth*: Annie Chambers was born in August 1885 at Washington Co., NC. [S156] Unknown author, Tyrrell Co. Marriage Bonds. [S1070] Unknown volume, Washington Co., N.C. Death Certificate, www.Ancestry.com. [S2238] 1920 Washington Co., N.C. Census. Marriage*: He married Caroline (?) before 1885. [S611] 1900 Washington Co., N.C. Census. Birth*: Elizabeth Chambers was born circa 1800 at NC. Marriage*: She married Jacob Fortner, son of Sugar Forkner and Priscilla Robertson, on 27 August 1818 at Green Co., TN. [S502] James R. Falkner, Fortner, Jacob A. WWW. [S1443] Unknown volume, Lawrence Co., Mo. Death Certificate, unknown repository. [S1509] Unknown author, Florida Marriages 1837 - 1974. [S2239] 1910 Washington Co., N.C. Census. [S617] Unknown volume, Washington Co., N.C. Marriage Records, unknown repository. Birth*: Alexander M. Champion was born circa 1837 at NC. He was the son of Claiborn Champion and Margaret Falkner. Death*: Alexander M. Champion died after September 1884 at NC . [S21] N.C. Marriage Bonds unknown file number. [S12] Franklin Co., N.C. 1880 Census. [S1071] Unknown volume, Wilson Co., N.C. Death Certificate, unknown repository. She was the daughter of Claiborn Champion and Margaret Falkner. [S133] 1900 Franklin Co., N.C. Census, Pg 15a. [S549] 1930 Franklin Co., N.C. Census. [S66] 1860 Granville Co., N.C. Census. [S133] 1900 Franklin Co., N.C. Census, pg 17a. [S2229] Unknown volume, North Carolina Death Indexes, 1908-2004, www.Ancestry.com. [S2354] Unknown volume, Social Security Applications & Claims Index, 1936 - 2007, unknown repository. Birth*: Claiborn Champion was born circa 1816 at NC. [S157] Unknown volume, Warren Co., N.C. Marriage Bonds, Register of Deeds Warren Co., NC Courthouse. [S362] Dr. Stephen E. Jr. Bradley, Franklin Co., N.C. Marriage Bonds 1779-1868. [S10] Franklin Co., N.C. 1860 Census. [S132] 1910 Franklin Co., N.C. Census. [S834] 1900 Nash Co., N.C. Census.